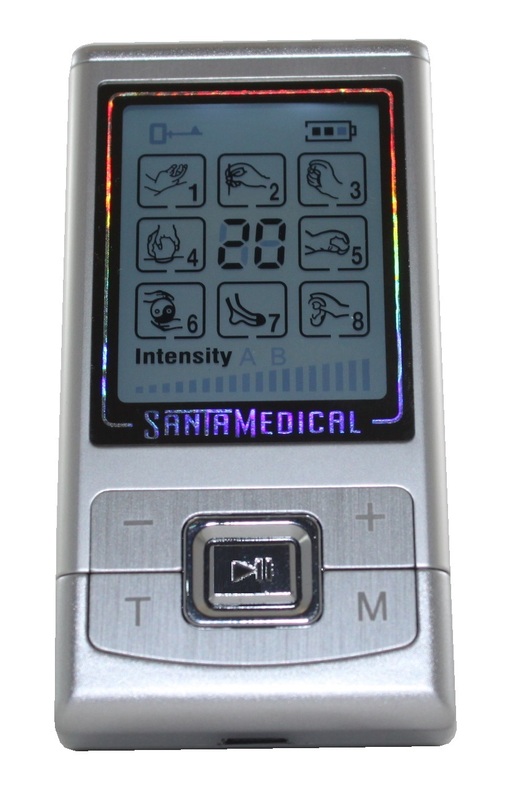 Santamedical PM-180 Rechargeable Tens Unit Electronic Pulse Massager is a compact, portable, micro-computer controlled device. It can be used in many areas in your body, including arms, neck and shoulders, back, low back, legs, feet, joints etc. It may help to relieve pain and numbness in the following situations: Stiff neck; Muscle pains from over-exercise or stretch; Numbness from some chronic condition; Carpal-tunnel syndrome; Relieve pain and relax muscle spasms, or may prevent muscle atrophy. 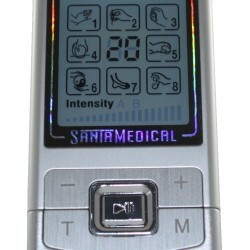 Back lit LCD display for low lighting conditions. The back light turns off after a few seconds of use to lower power consumption and maintain ambient lighting. 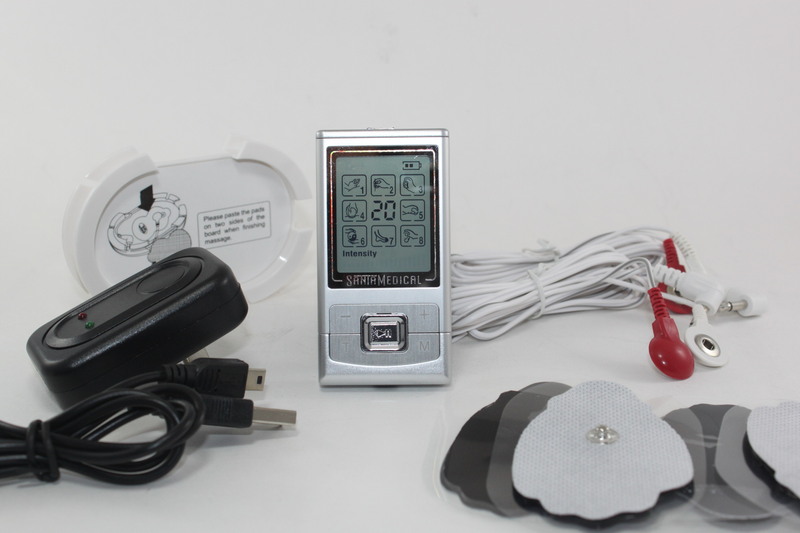 Recharge the internal lithium battery to keep them powered up for massages.